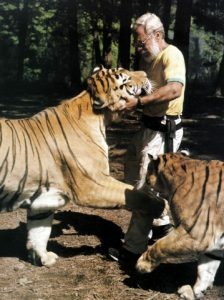 My name is Jason Savage, director of the Zoë Foundation, a 501 (c)(3) non-profit whose mission is to help save the tiger. We began our mission in 1985 in Charleston, SC. 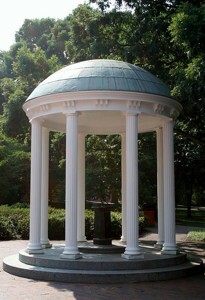 We incorporated in North Carolina in 2000 and filed for non-profit status with the IRS in 2005. Our EIN is 52-2234212. 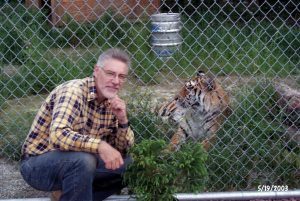 I had the privilege to work with world renowned tiger expert, Zoologist, and my friend Dr. Michael Bleyman, who passed from cancer in 1996. Goal one. Focus awareness on the tiger’s march toward extinction. There are fewer that 3,900 (figures vary) remaining in the wild. Habitat loss and poaching are taking away one of the earth’s most beloved animals. A Guinness World Record judge will be present on site to certify our record. Guinness states that wherever their judges go, publicity follows. 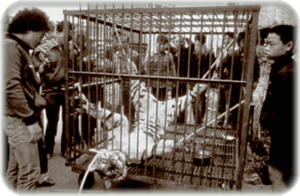 We can get a lot of eyes focused on the tiger’s plight.